Water is essential for life and every drop counts. 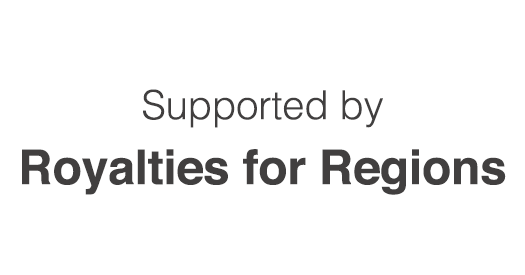 With Royalties for Regions funding support, the Department of Agriculture and Food is running a water use efficiency project, ‘More Dollars per Drop’, to assess current use and develop innovative ways to improve water use in the horticulture, wine and dairy industries. Project activities include free on-farm assessments of irrigation systems, sites to demonstrate new systems and equipment and development of web-based decision tools. Water use efficiency is about making the most from available water by producing as much high quality produce as possible per megalitre of water. Making every drop count is the ultimate goal of the project – going beyond water conservation to efficient water use. Water is essential to produce fruit, vegetables, dairy and other agricultural produce, yet in Western Australia water availability and quality are becoming significant issues, especially with the variable rainfall patterns experienced in recent years. As a community, we must therefore use water resources to our best advantage and in ways that ensure the continued viability of irrigated agriculture. The More Dollars per Drop project is about doing just that. development of web-based decision-making support tools to assist growers with irrigation management and water use efficiency. pump capacity to assess whether pump(s) are set up correctly and have the capacity to meet the irrigation needs of the crops in the blocks. The report, which combines analysis of interview information and the physical system test valued at about $3500, details areas for improvement and a suggested plan of action. 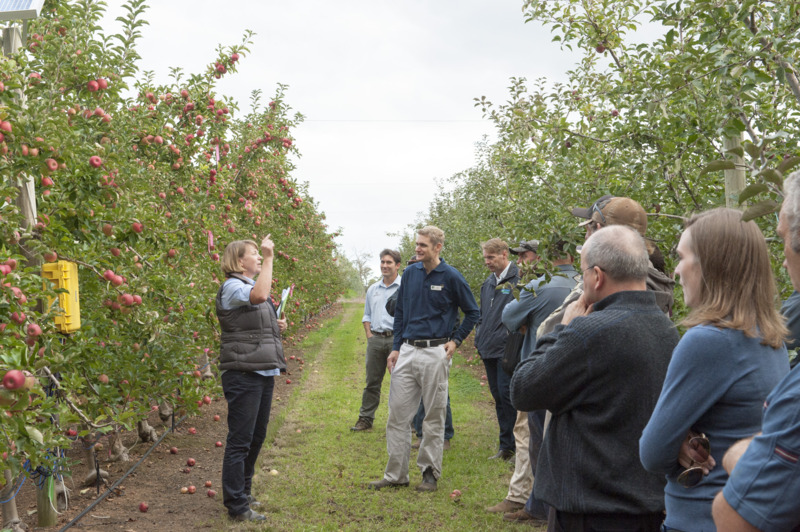 Demonstration sites were set up around the state including an apple netting site in Manjimup, table grape at Boyanup and wine grape demonstration in Margaret River. Demonstrations and field days will be held in Carnarvon to show how on-farm improvement in irrigation systems and practices can increase productivity and the return on water. The demonstrations in Carnarvon involve solving common problems leading to poor irrigation uniformity, learning how evaporation can be used to guide irrigation, using soil moisture monitoring to fine-tune irrigation and creating a network of professionals that can help to improve irrigation in the Carnarvon region. DAFWA’s information technology experts are leading development of a water use decision support tool, ensuring there is in-house capability and capacity to support growers and future version developments. The decision support tool aims to make irrigation scheduling easier for growers and also allow them to monitor their water use and efficiency over time. The tool will be customised for individual farm needs and rely on DAFWA-installed weather stations for information and a backup of Bureau of Meteorology stations. DAFWA has installed more than 60 weather stations across the state. The tool will be smartphone and tablet-friendly allowing growers to access, add and edit information while they are in the field. 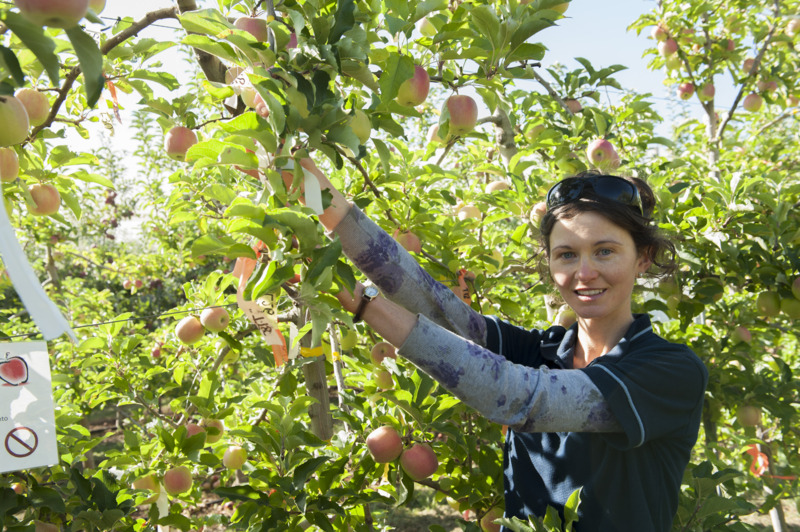 The More Dollars project is working with two national projects – Horticulture Australia’s research project on apple and pear production in a changing climate and a Federal Government-funded research study on the effects of different coloured netting on tree phenology, winter chill accrual, fruit temperature over summer, and fruit quality. 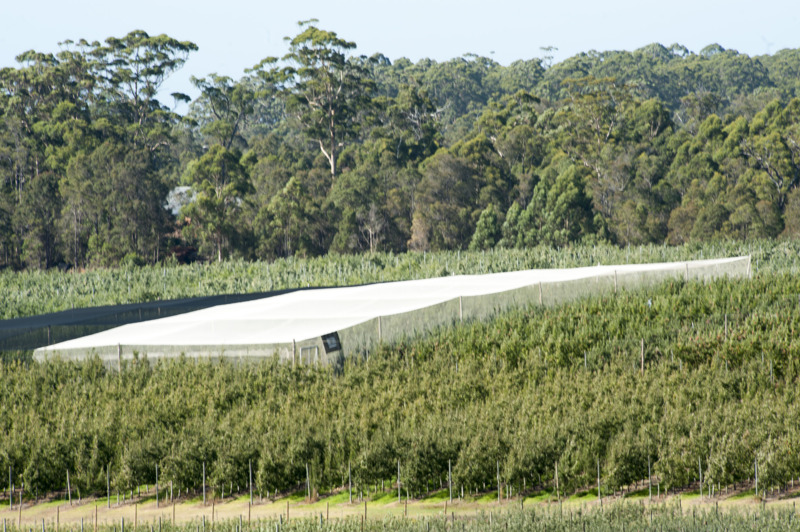 It also supports Manjimup SuperTown, another Royalties for Regions project, which is exploring ways of revitalise Manjimup town and hinterland as a fruit production area. Improving production, grower viability and resilience will lay a solid foundation for the potential economic growth in the region.